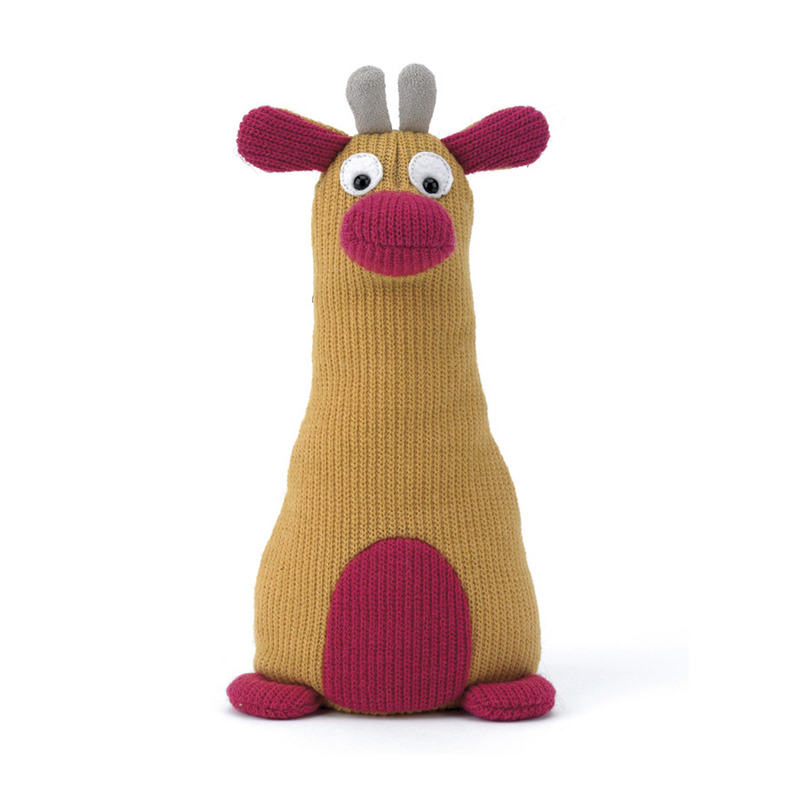 This quirky knitted giraffe is soft and squidgy with bean filling so he can stand to attention! He loves to eat his greens and would love to be your friend – keep your eye on him though as he can be a bit of a rascal! Suitable from birth. Tested to and passes the European Safety Standard for toys: EN71 parts 1, 2 & 3, for all ages.